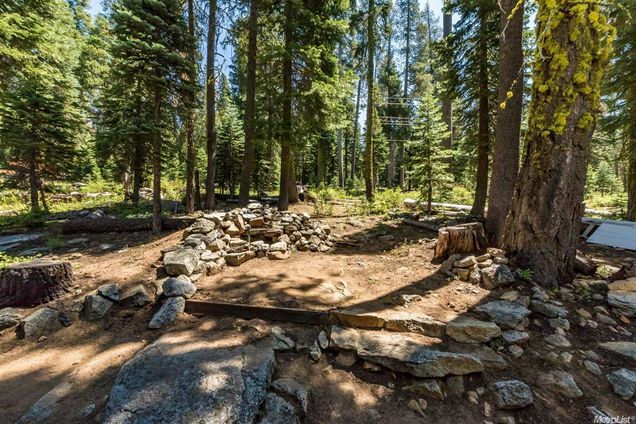 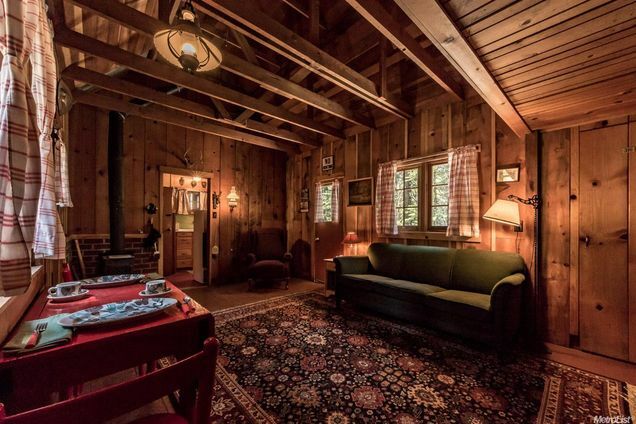 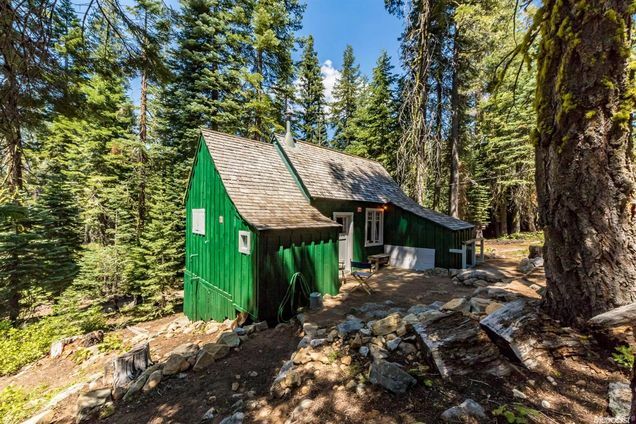 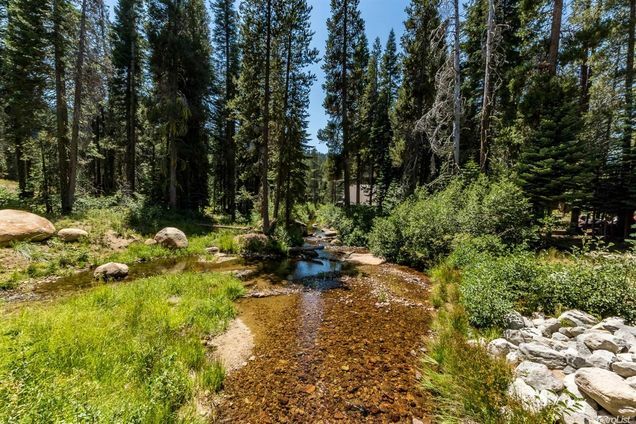 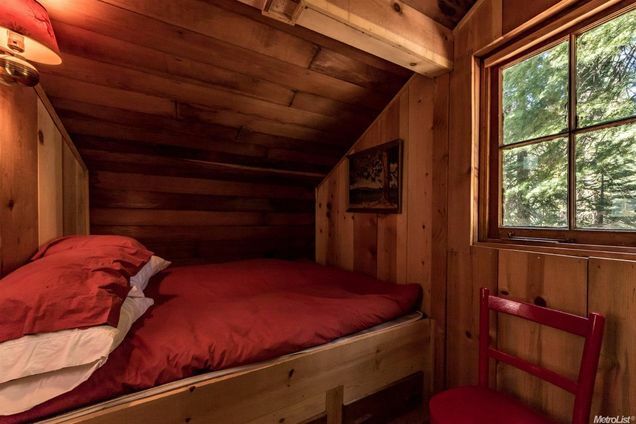 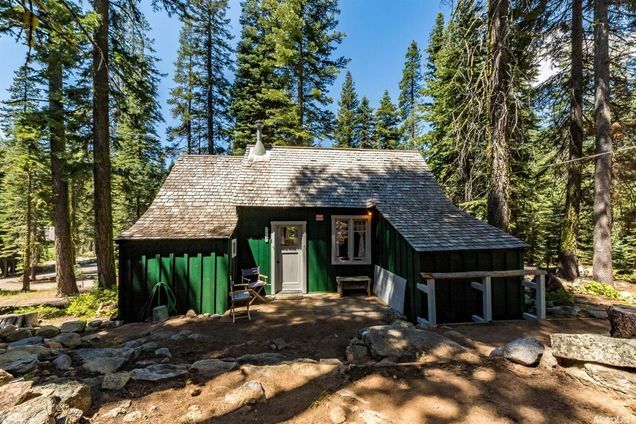 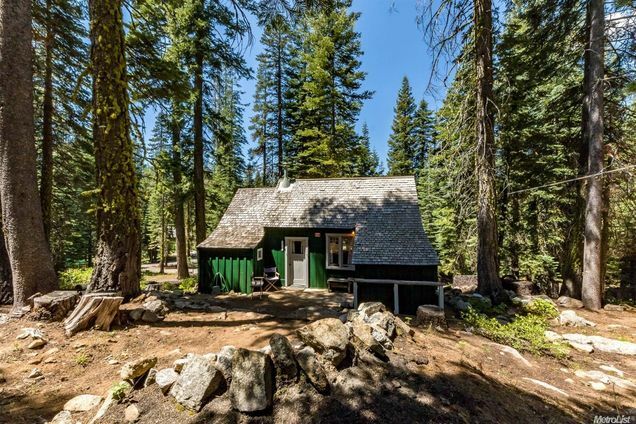 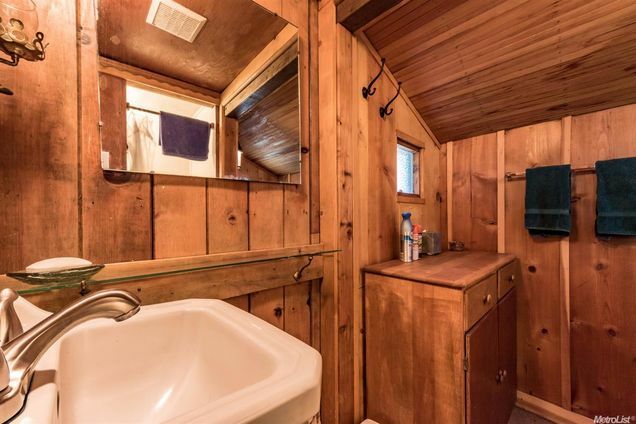 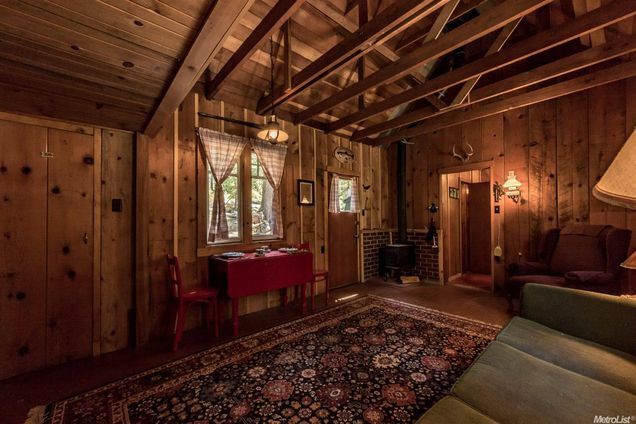 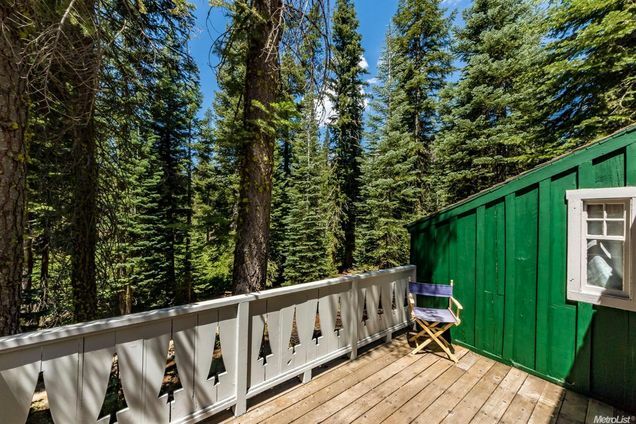 This cute, little Forest Service cabin is currently available for sale in Twin Bridges, California! 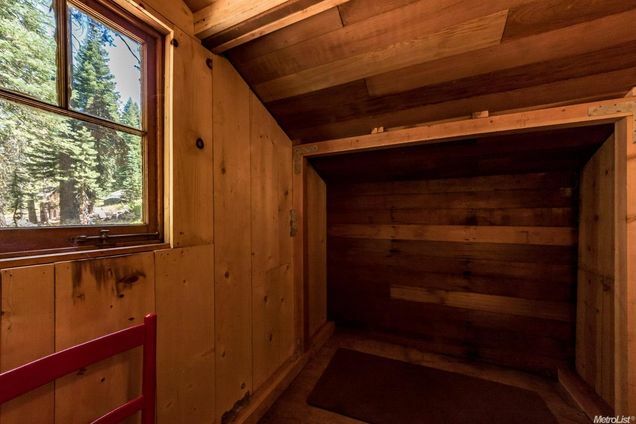 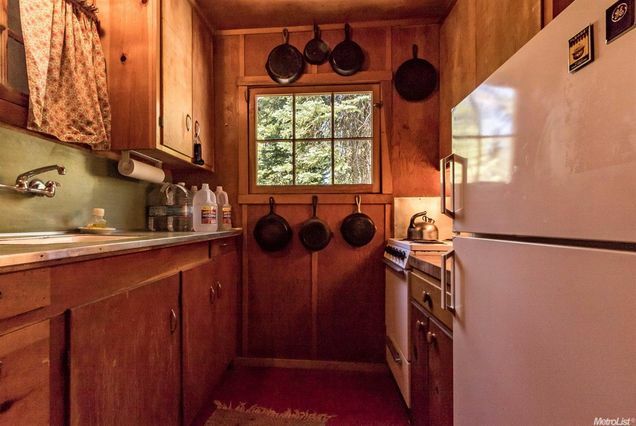 The 500 sq ft retreat features two bedrooms, a loft space, one bathroom, a kitchen, a living room and dining space, and a small wood-burning stove. 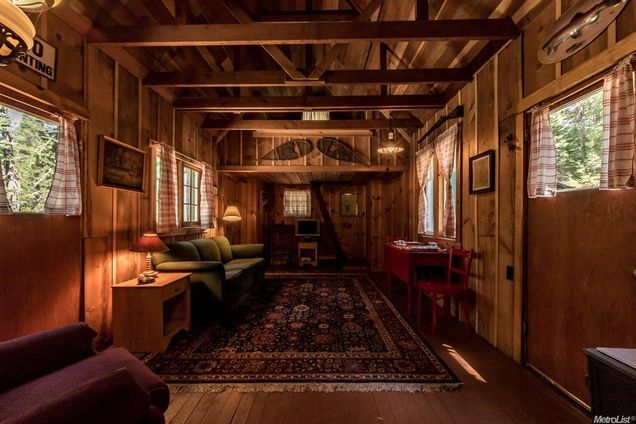 It’s currently listed on Estately for $120,000.